This is Mallary, a sweet little baby duck. She is approximately 13″ long and her head is made with the waldorf method by rolling wool. 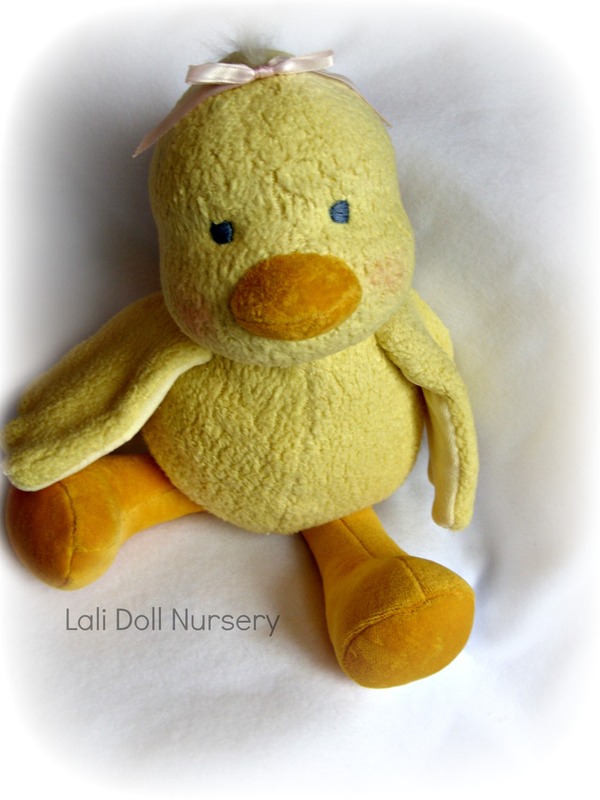 Her down is made of 100% organic cotton and is really soft and huggable. The underside of her wings, her beak and legs are made with 100% cotton velour. She is stuffed with 100% wool. She has hand embroidered blue eyes. I am also working on a pattern for this little sweetie, which will be availabe soon. If you’d like to bring Mallary into your home, she will be available this Saturday in the monthly Dollectable shop at 7pm ET. www.hyenacart.com/Dollectable Hope you can make it. 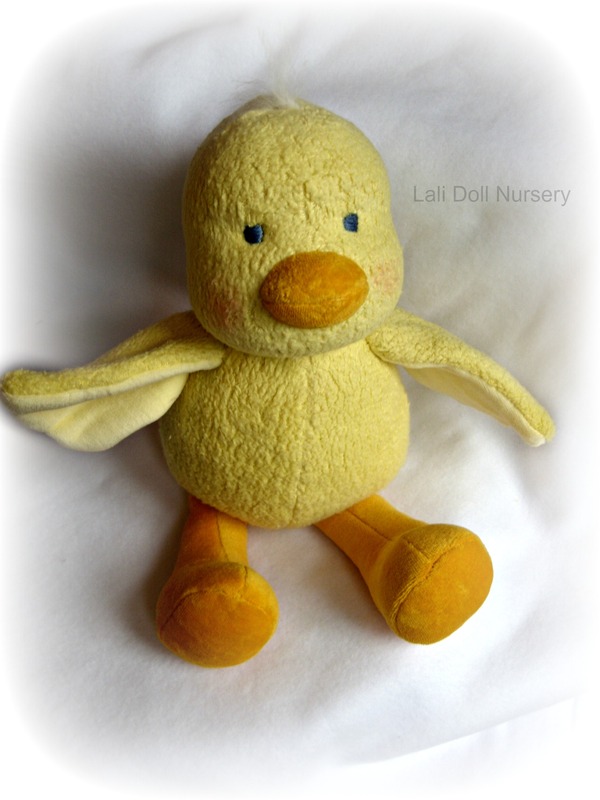 There will lots of other cute handmade natural toys available too! 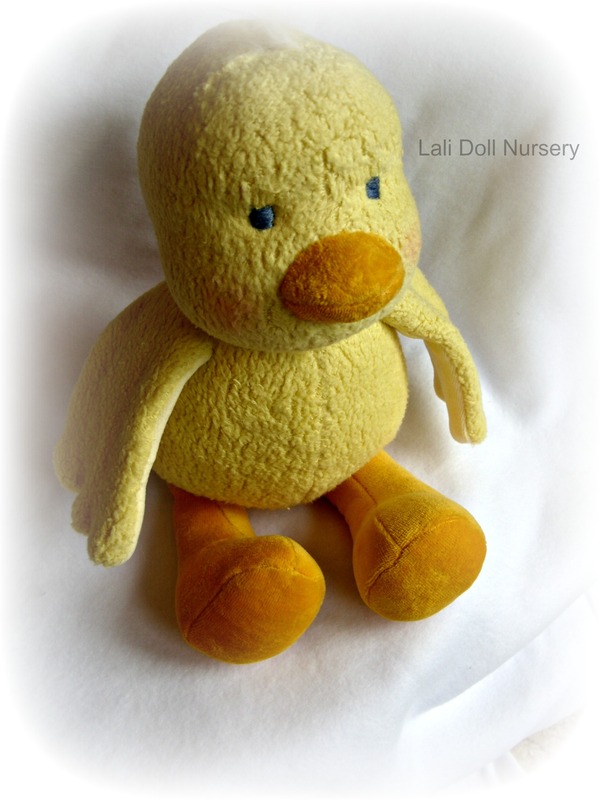 I am looking for a duck doll just like this. Any idea where I could get one?